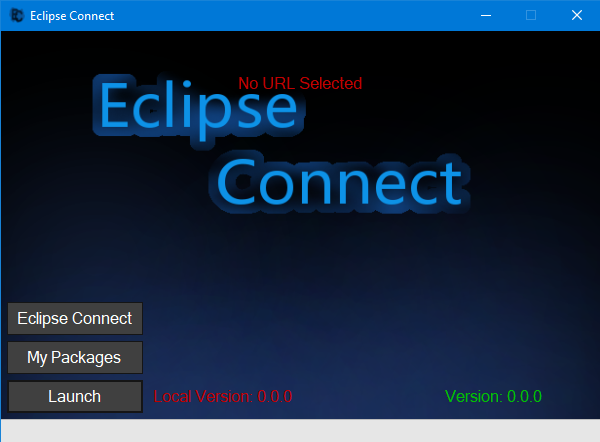 SolidLink and I have been working on a launcher/manager called Eclipse Connect. ~Then PM us or use our google forms to upload your games. We will then put your game on EC. 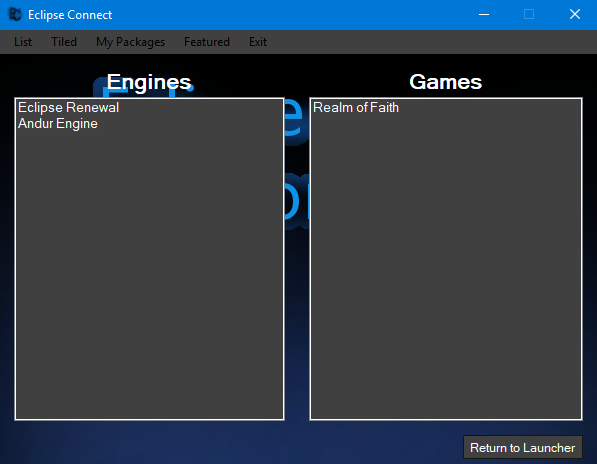 ~EC supports all games and engines, and they don’t need to be made with any Eclipse engines. However, making a thread for the updates is necessary. And you are done! 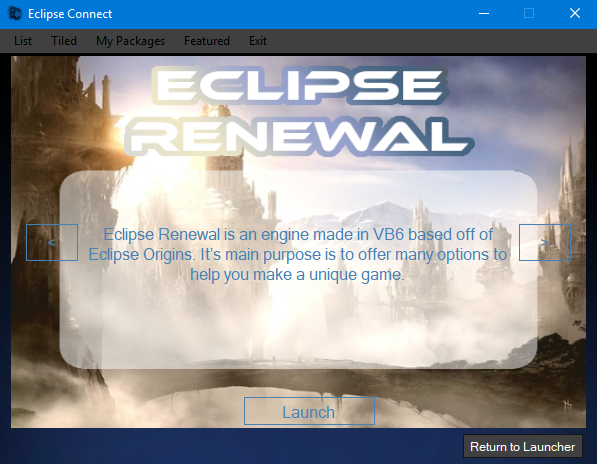 Users can then check Eclipse Connect and download your game with a built in updater so it’s easy for users to update! ~Keep your game/engine description to less than 300 characters. EC auto updates itself on launch and will relaunch when complete. 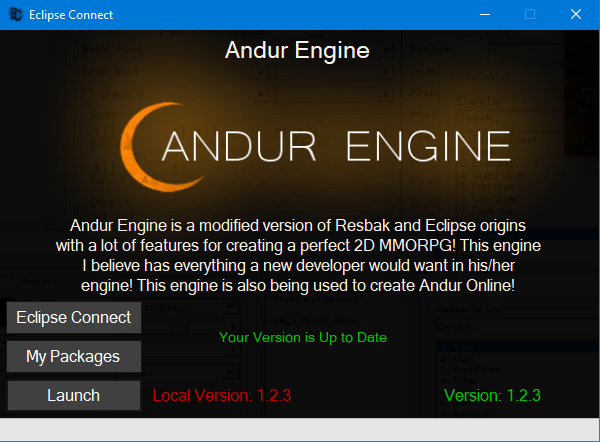 Andur loaded and ready to play! As a side note, any games using Google Drive to host their files will require the user to log in (you only have to login once, after that it will allow you to download the others that use Google Drive). I am trying to make a work around for this. This link is used by EC to update, please use one of the download links at the top of the page. Can’t wait to get to use this! Yes, it will support Atlas, in fact it will support Intersect and RPMMaker as well. It can support about anything since it just downloads the files from the link provided. The trailer has been added to the main post! Game jame is done and so is EC, the links are in the first post! Suggestion: add a search bar to EC so if there are loads of games, people can still search for certain ones.